And according to 'fashion bible' Vogue, we're in for an autumn / winter wedding season of show-stopping brides. 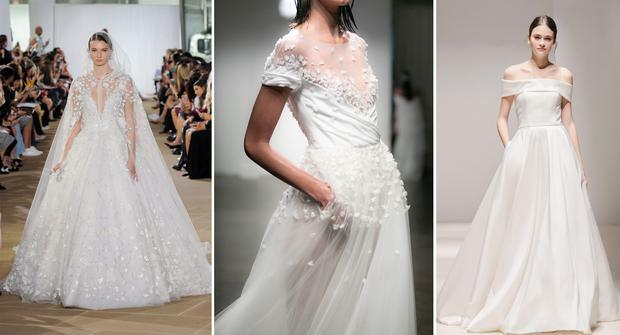 New York Bridal Fashion Week this year saw plenty of bridal collections playing safe with stunning sheer tulle skirts, lashings of lace, pretty 3D floral appliqué and Meghan Markle inspired minimalism, however there were of course some other less traditional styles on the catwalk. 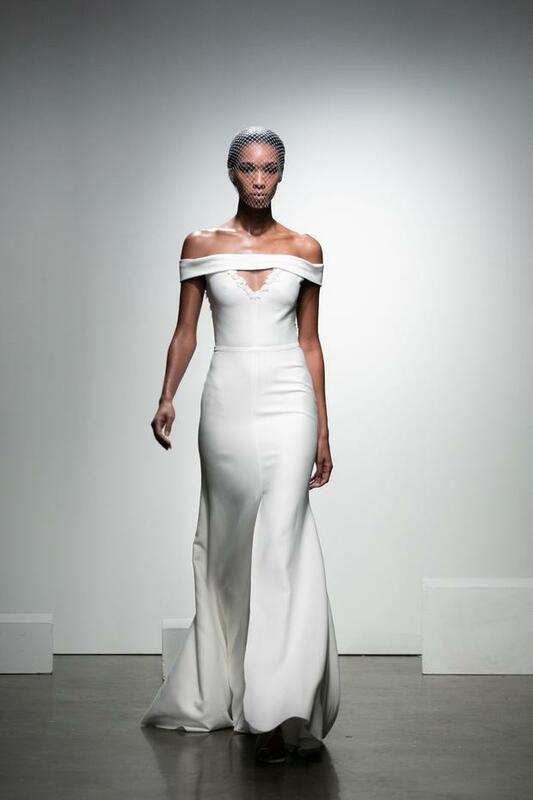 Barely-there bridal catsuits, chic tailored trouser suits, contemporary crop tops and of course, the regal, Game of Thrones-esque cape popped up in several of the most high profile showcases including Pronovias, Ines di Santo and Irish designer Don O'Neil's THEIA Couture. Full length Cashmere coat, €1,850, to order, Elaine Madigan. 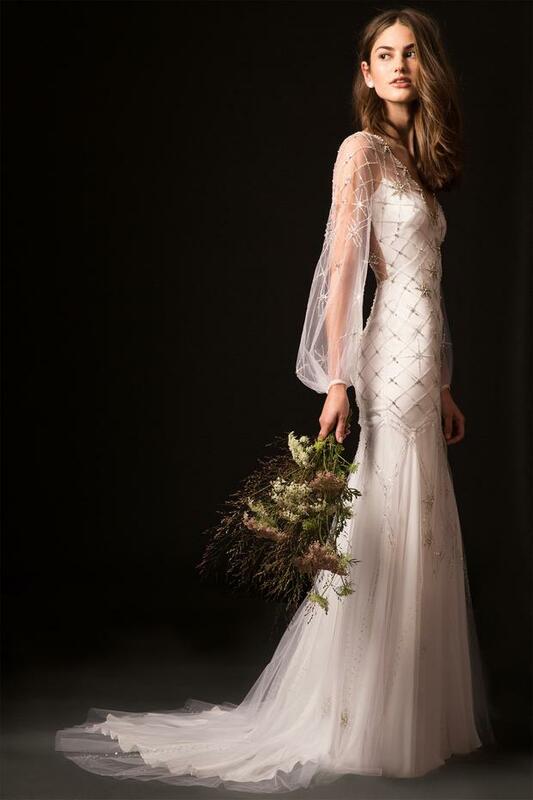 'Ada' corded-lace, V-back crop-top with full-length sleeves, €595; 'Ines' matching corded-lace fishtail skirt, €895, both Theia by Don O'Neill, exclusive to Folkster Bridal. Bandeau bra (worn underneath), €90, Cadolle; silk-velvet wrap (behind model), €640, Amoralle, both Susan Hunter. 'Roisin' embellished veil, €220, Veils of Ireland.